Noted German gear-maker Renk reports that its new propulsion system Advanced Electric Drive (AED) was successful in its recent sea test onboard a 110-m megayacht built in the Netherlands. The megayacht was the first to feature the AED, a innovative propulsion system that is designed to be light, compact with a very low noise signature. The RENK AED was chosen when the owner eschewed traditional diesel units for the 3500-ton displacement vessel. Renk is long-experienced in the area of the electrification of propulsion systems, and in fact the RENK naval division has been developing for some time an alternative electric drive train solution as replacement large and heavy direct electric drives. The long-term experience in building low noise gears was the foundation to combine a high-speed electric motor, much more compact in size and only one fourth of the weight of a direct drive, with a reduction gear on a common base frame, soft elastically mounted to the ships foundation. The complete AED module results in ap-proximately half of the weight of a comparable direct electric drive. 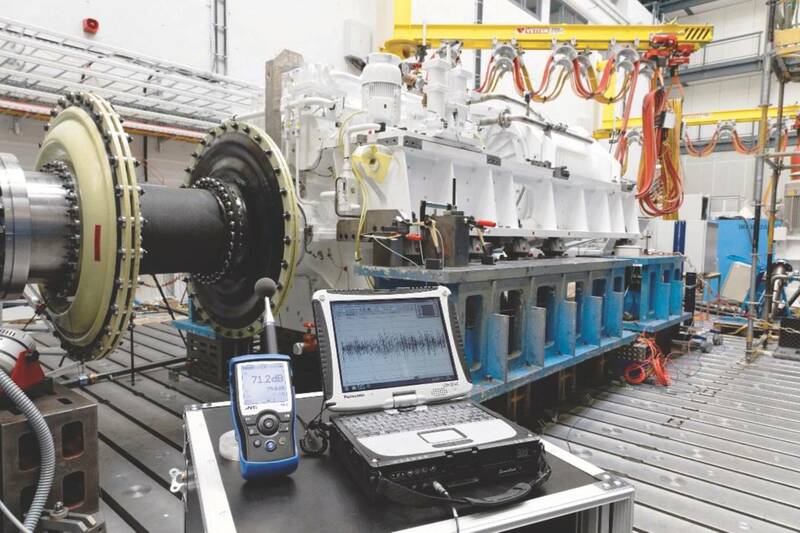 This first contracted shipset delivers a power of 4,000 kW on medium voltage, tested under full load at the new-built testing facilities at RENK headquarter in Augsburg. The official acceptance was scheduled end of July 2018, represented by owner’s representative, Lloyd’s Register of Shipping and one of the owner of the shipyard. Acceptance of the RENK AED system is picking up momentum according to the manufacturere, as another shipset was recently delivered and will start its operation on a research vessel for the Australia’s Antarctic division, used for low speed propulsion during research activities. Some frigate programs are on the near horizon that will combine AED with diesel or gas turbines, providing efficient propulsion and low noise up to a speed of 15 knots.